Wholesale distributor of Genuine Brand Name Perfumes. Top selling fragrances at great prices with exceptional service every time. Your one stop for Designer Perfumes. We have been in business for over 15 years. We have a large inventory and offer prompt delivery. 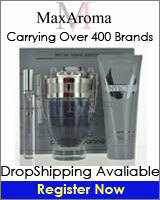 Perfume, cologne, fragrances, skincare products & cosmetics at the lowest prices. Our discount perfume selection consists of over 15,000 brand name authentic items. All perfumes are 100% authentic & original, we do not sell knockoffs or imitations. Established in 1997, NYB is recognized as one of world's leading distributors, importers and exporters of premium branded wholesale fragrances. We carry 100% genuine brand name perfumes and colognes, supplying major department stores and independent retailers. Large and exciting collection of religious statues, candles, incense sticks, perfumes, soaps, aromatic oils and much more. Visit our site to see our unique selection. Call (305) 436-8781 Fax (305)675-3398. We are a wholesaler and distributor of over 10,000 name brand perfumes, colognes and skin care products. We offer 100% genuine fragrances at the lowest wholesale prices. Safe and secure online shopping. Professional customer service. 10. International Perfume Trading, Inc.
International Perfume Trading is your number one provider of name brand and off brand Perfumes. We are a wholesale supplier of the highest quality perfumes with the industry's best prices. Contact us today and let us help you fill your orders. Se Habla Espanol. Posh Perfumes and Cosmetics Inc. is one of the leading distributors of branded perfumes, cosmetics and skincare products worldwide. New special priced deals daily in many high end brands like Lancome, Clinique, Estee Lauder, Mac, Urban Decay, L'Oreal, Sally Hansen, Opi, Guerlain, and more! Perfumes of the World© is one of the largest distribution centers of premium brand fragrances as well as health and body products. We carry brand name perfumes such as Boss, D&G, Christian Dior, Gucci, Tom Ford, and more. We are a manufacturer of a wide variety of designer perfumes, body oils, burning oils, and incense. Our large warehouse contains all sorts of scents for soaps and candles and we also offer fancy plastic or glass bottles for body oils. TOLL FREE - 1800 341-2236. Beauty and fragrance supplier, supplying only the highest quality of cosmetics and fragrances. Perfumes, Skincare, Makeup, Bath & Body, Candles and more. Click the wholesale link at the bottom of our homepage to setup a wholesale account. DROPSHIPPING AVAILABLE NOW!! Over 950 high quality designer fragrance body oils, perfume oil sprays, super cologne sprays, body sprays, massage oil, beard oil, beard balm, black soap, air fresheners, lotions, custom bath gels, after shave balm, argan products, aroma lamps, bottles, displays and supplies for the reseller. Call Toll-free 1 800 418 7373. local, 1.772.617.4589. Wholesaler of designer fragrances, cosmetics and skincare. We can also provide very competitive shipping direct to your door, anywhere in the world. Discount Health and Beauty, Cosmetics and Fragrances. Stealth International and Janco Beauty are wholesale and closeout distributors for brand name health and beauty products, fragrances and cosmetics. We sell to retailers and wholesalers worldwide. Manufacturer and exporter of fragrance perfumes. We are a specialist women's perfume manufacturer and one of the reliable men's perfumes exporters from USA. All our products carry a hallmark of quality and exclusivity that you've never imagined before.